If you are left handed, your slide foot will be your right foot. Am left handed. Do I need to purchase right foot slide sole separately? Good for long toe drag? If you are left handed then you usually slide on the right foot. This shoe is left handed so it will have the slide soles set up on the right foot. 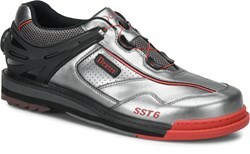 The shoe has a hybrid style toe protector but no bowling shoe is made for a long toe drag. 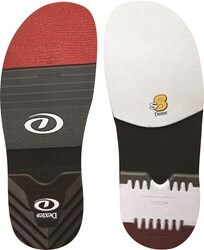 Dragging your toe will wear down the shoes more quickly and is not covered under warranty unfortunately. Due to the time it takes to produce the Dexter Mens SST 6 Hybrid BOA Grey/Black/Red Left Hand ball it will ship in immediately. We cannot ship this ball outside the United States.